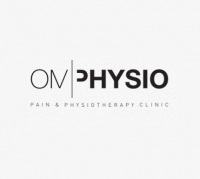 OMPHYSIO is a12 year old, established private physiotherapy practice. Our clinics are located in Bayswater, Notting hill Gate, Ealing broadway. Post code - W2 4AH and W5 2RP. Our physiotherapists are trained and experienced in treating a wide variety of musculo skeletal disorders including muscle, nerve, joint and ligament complaints. We provide a comprehensive range of services including physiotherapy (physical therapy), sports massage, relaxation massage, pilates, chiropractic and osteopathic treatment.